Sometimes in the craze of Black Friday deals and blow outs, by just about every massive retailer on the planet, us lil’ businesses can feel left out. But then SMALL BUSINESS SATURDAY was invented… ok, I think American Express invented it but we aren’t focusing on that part. Today is the day, we get to offer our own promos and to say Thank You for remembering that all those mom ‘n pop shops in your neighbourhood, the small business owners you meet at sidelines of your children’s soccer games, that chubby girl that emails you a few times a year about her gift basket business – – are REAL LIFE people. People trying super hard to make a living from their business and working ridiculous amounts of hours to compete with all those big guys! 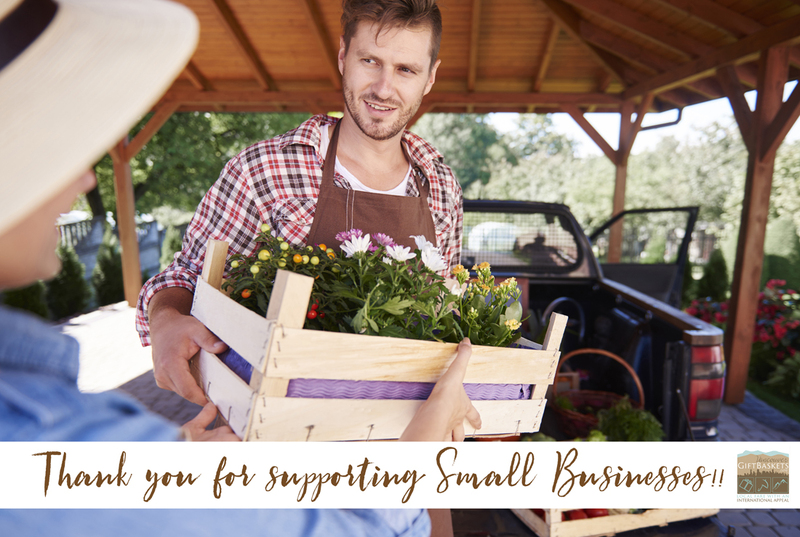 So make a Small Business owner do a happy dance today and support one by buying something, anything on this very special Small Business Saturday. Thank YOU so much for supporting me for so long! !